Flowers and lots of color always makes me feel cheerful! Though the sun is mostly hidden today it is very bright outside which is a good thing! This table is about "color" which I am craving right now. I went for a cohesive look of red, white and black. 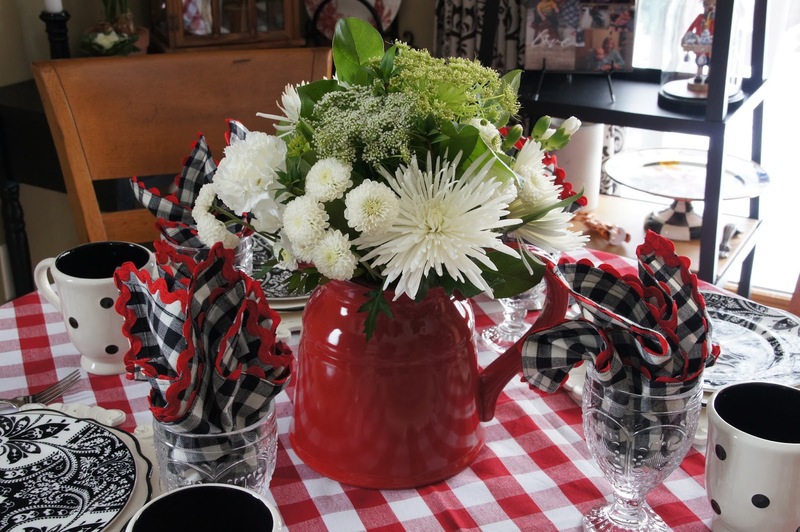 I do love red- and so many colors can be mixed with it too! I love this combination of whites and greens. I picked up the flowers from Costco. We just got one up here and I noticed they always have beautiful roses and mixed flowers bouquets so I know I'll be back for more. Imagining a delicious morning breakfast with stacked blueberry pancakes or french toast, sausage or bacon, orange juice and coffee! Salad dishes by Ralph Lauren (called Spectator, Paisley). The all creamy white dinner dish below accented with the black border was from Horchow a while back (CMG, Portugal is marked on the back). Flatware also came from Horchow several years ago but had no identifiable pattern name. 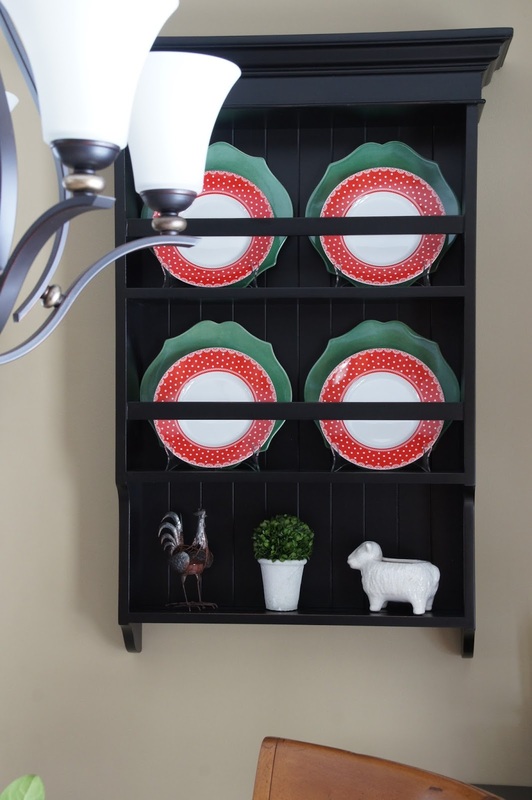 I even changed the plate rack out to add more color! Since our world is rather white outside right now so I eagerly seek color! The green dishes came from One King's Lane several years ago and the red polka dot patterned ones (222 Fifth, Home Cupboard) were ordered through Replacements, Ltd., a while back. I was thinking along the lines of Mary Engelbreit when I started focusing on the plate rack. 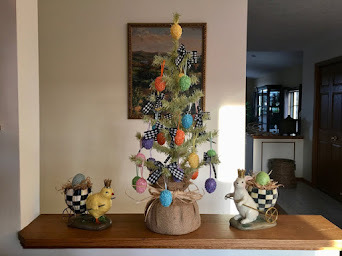 It still needs something- perhaps yellow! 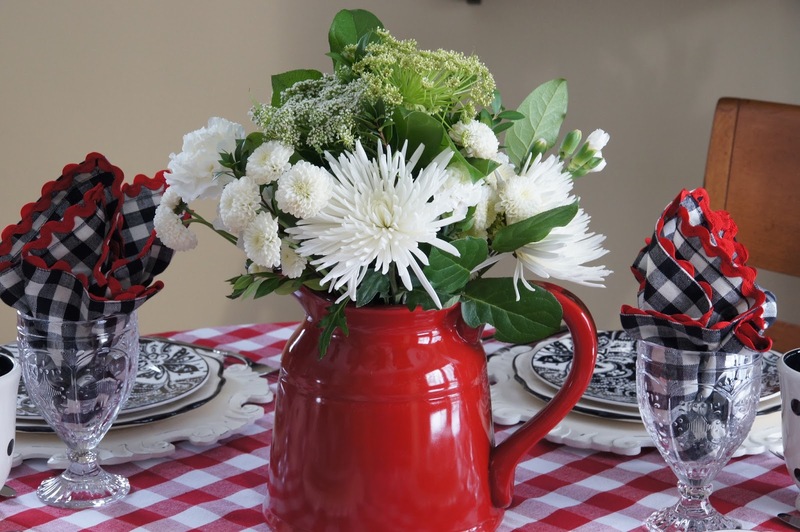 Cheerful and Bright, Red and White! 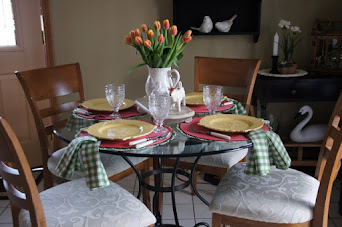 I achieved my goal for color and for a cheerful table. Perhaps this will inspire you to pop some color in your life right now too! 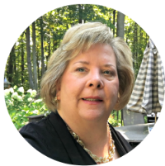 Gorgeous and so cheerful, Liz! 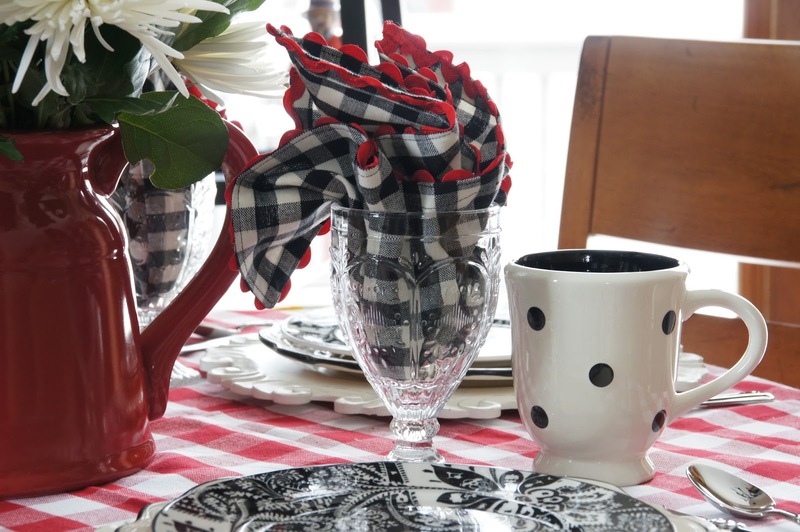 Those napkins captured my heart -- I am a fool for rickrack. Did you make the napkins -- or maybe add the rickrack yourself? Adorable! Thank you Tricia! 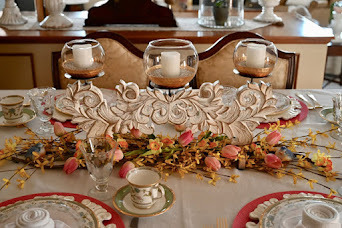 I can't take credit for the rickrack or the napkins because they came that way (from Park Designs). The rickrack really made them cute didn't it! Good to hear from you (I tried to reply to you in an email but it got returned as undeliverable). Positively delightful, light, bright and happy! Beautiful way to brighten up a Winter Day. 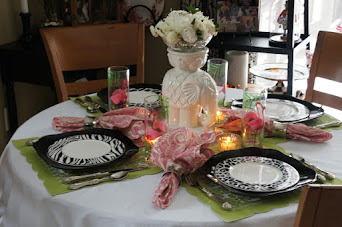 Great table Liz, so cheerful, and would work any time of year, but I love it for brightening these dreary Jan days! Love Costco for flowers! Oh, I love black and red. Everything is so cute. And how fun to have the dishes on the wall coordinate with the dishes on the table. Gingham check has always been a favorite of mine. Nice to have it in two colors and two sizes. How fun. This is probably my favorite of all your table settings. I love the check black and white and the red and white. So pretty. 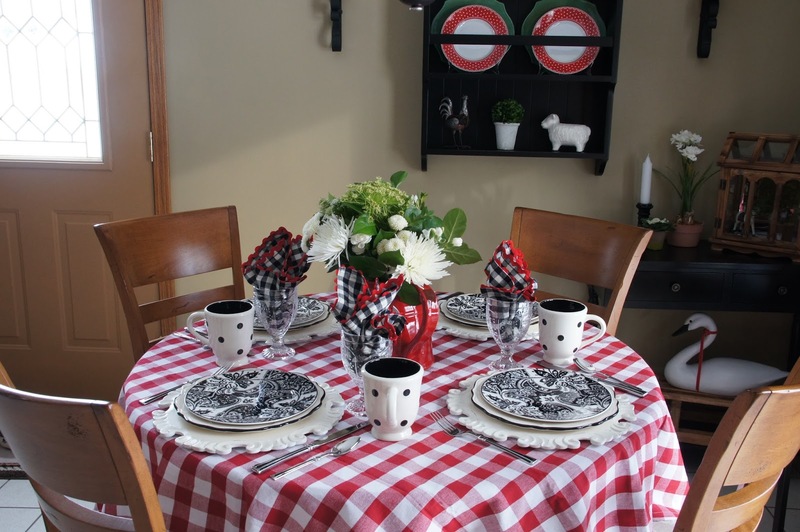 Gingham is my favorite no matter what color. Great job Liz. Happy Thursday. Very sweet and cheery. In February, I will use a bit more red around the house. 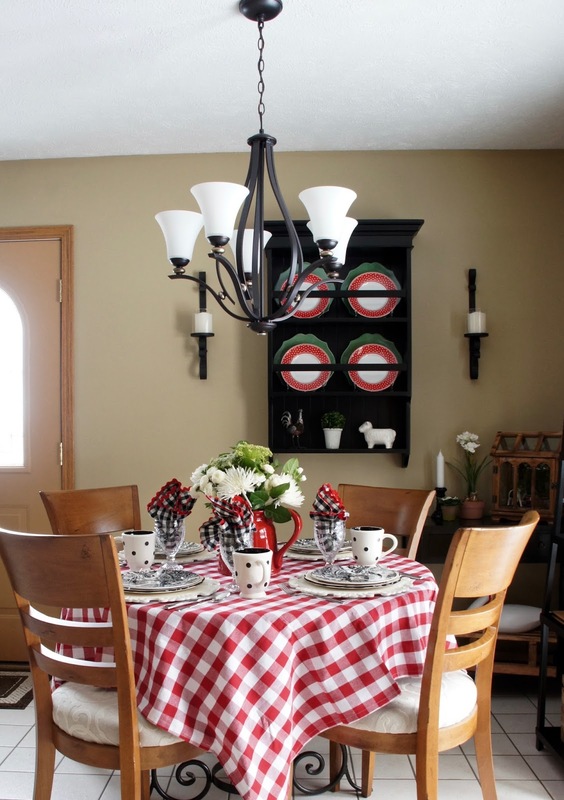 I have a red and white checked tablecloth that I put out and a few bits of red here and there. 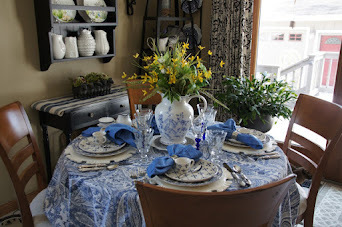 Your table is so pretty and cheerful. Love the paisley design and those red plates in the plate rack are eye catching. 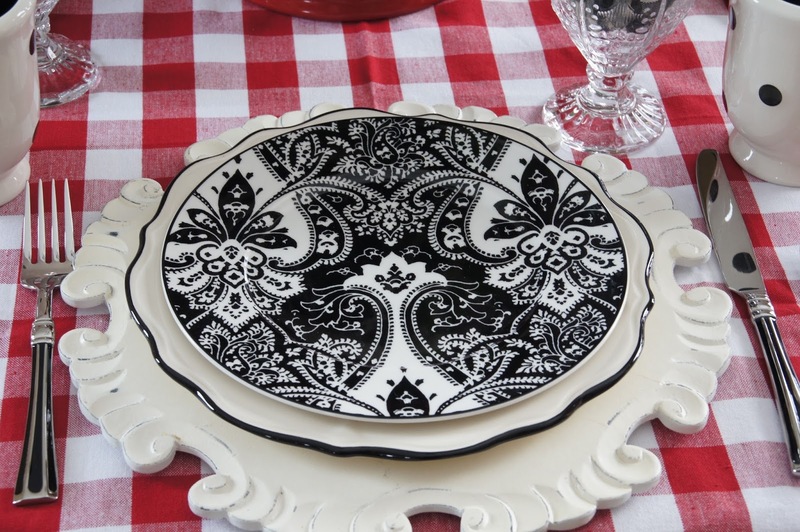 The black and white with touches of red is so charming. I love 💕 those colors together. 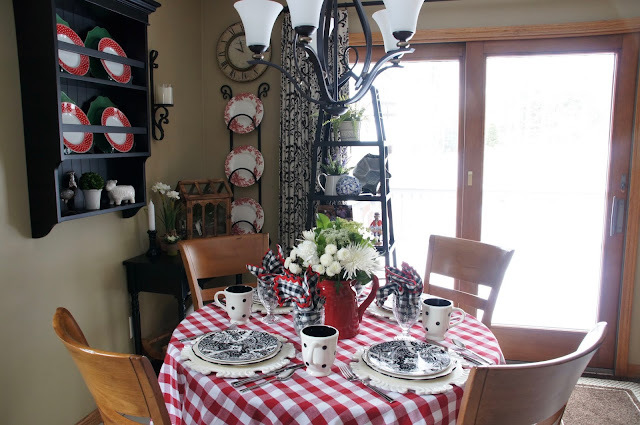 a very cheerful table to chase away the Winter blues. 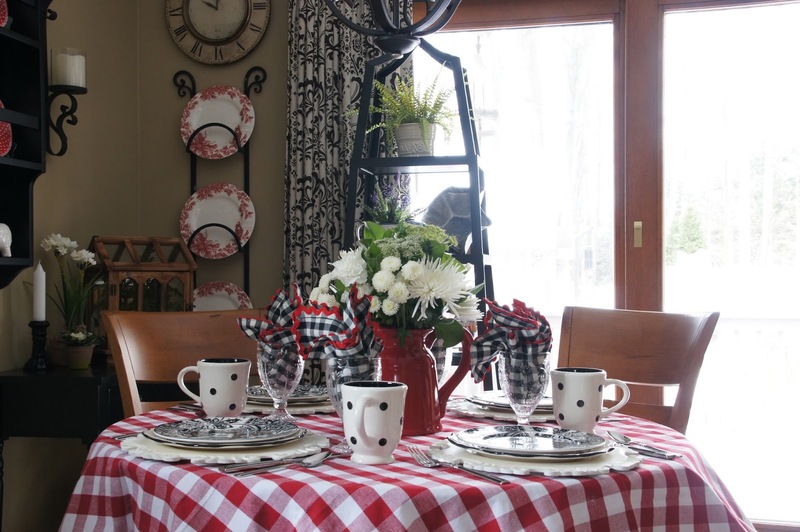 I'm usually not into tablescapes, but oh that gingham drew me right in. I'm practically swooning over it all. 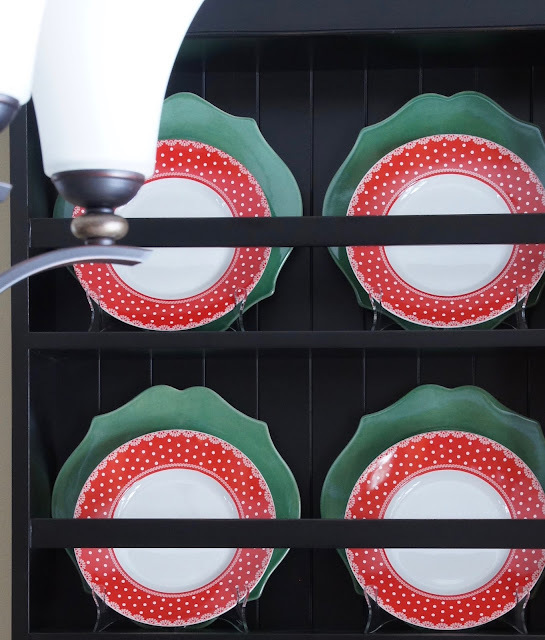 I love using red and turquoise together and use those colors together in my home. Stay warm! One word -- happy! Anyone sitting at your table would wear a large smile. I love the pattern and color combination. 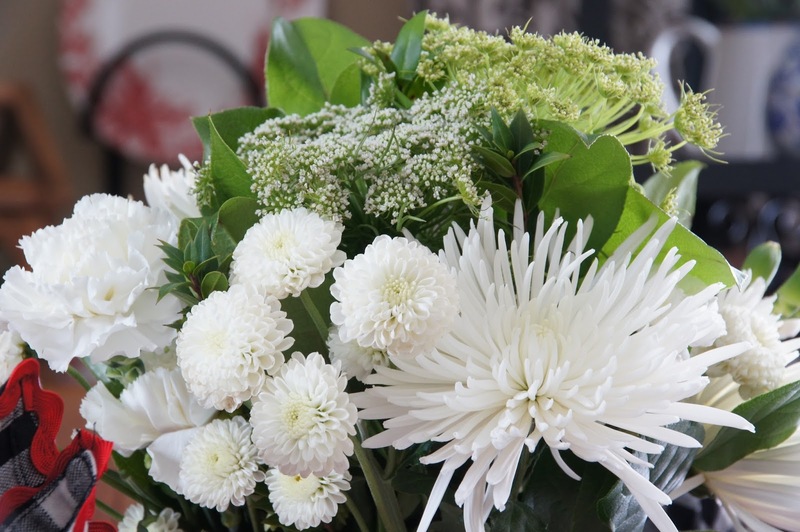 The flowers are gorgeous and so is their container! 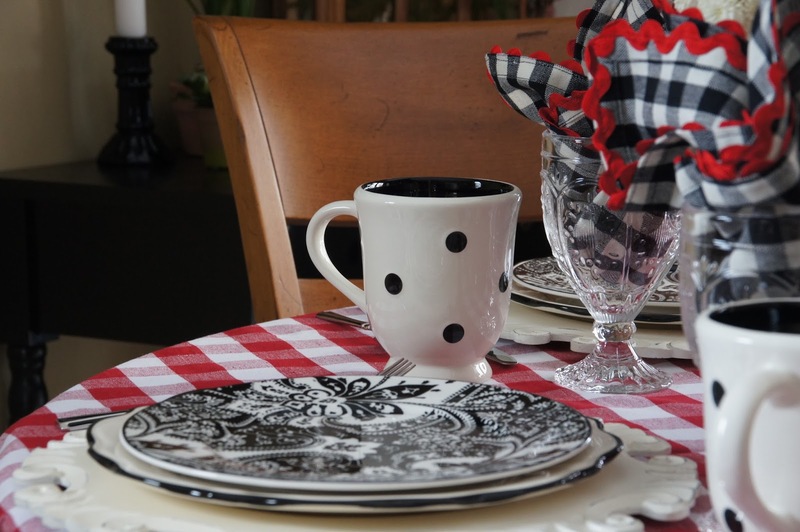 I'm crazy about black, white and red so your table suits me to a T! Hi Liz! 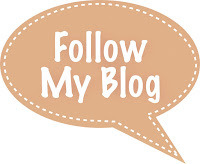 I see, a new blog! One has to be easier to keep track of than two! Your table is delightful! You can't go wrong with red and black and white! Thank you for sharing at Celebrate Your Story! Liz, you know how much I love polka dots! I just ordered some vintage one off of IG. One of my friends tagged me when she saw them. I tried to resist, but caved in the end. :) This table makes me smile all over! Love the dishes as well! Thanks for sharing with SYC. You'll be one of the features at tomorrows party. Oh I love this look! Did you put the edging on the napkins yourself? New Lighting for the New Year! Happy New Year and Snow!